I am new to eazyBI and currently trying to create reports for Jira tickets which have Insight custom fields. To be more precise I have tickets with fields “Affected Server” (Insight Object) which themselves have the Insight Object attribute “Location”. I now would like to know how many tickets have been created for which the Affected Server has the Location “Madrid”. How would I go about creating such a report? I am able to show which different servers are affected but I am not sure how to combine it with the location. To create reports based on linked object attributes, you have to create Insight data cube where you import information from Insight objects and their attributes. In that cube, Jira issue information is imported only as totals of issues that have relations to those objects and you may get needed data from there. It would be easier to demonstrate that on an example. Find out what Insight object type is linked to the field “Affected Server”. In my case, it is object type “Host”, and I want to filter the report by host “Operating System”. 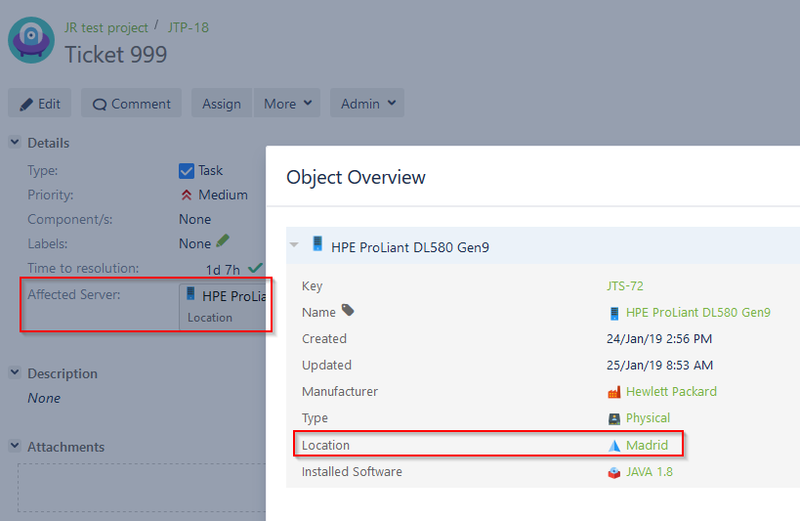 In Insight import settings, Object type attribute list, you have to find your needed object type and select attribute “Location” to be imported as a dimension. Perform data import. You should have imported dimension “[Object type] Location”. Then you can start building the report. In the report, you may want to add “Object” dimension in the report rows. Then set Page filter by “Object type” = your object type (Host in my case) to get only needed objects in the report rows and also add dimension “[Object type] Location” to filter those objects also by attribute “Location”. In report columns, use the measure “Issues created” (Measures > Select members > Jira issues) to get the number of linked issues to those servers located in Madrid. 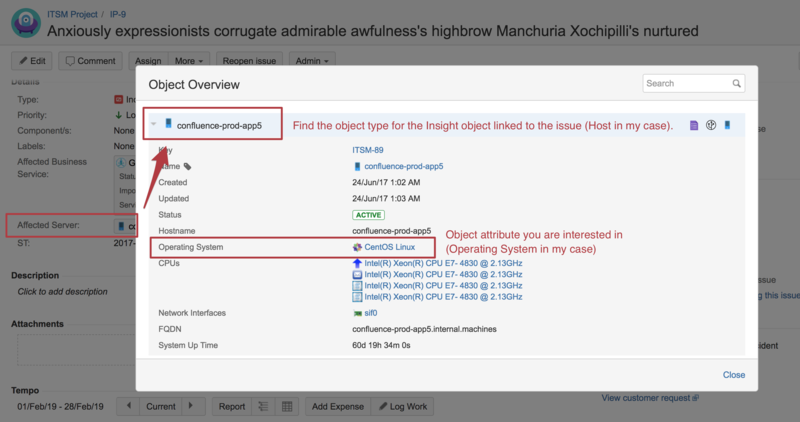 See my example with object type “Host” and attribute “Operating system” = CentOS Linux. Note that, in the Insight cube, you can’t filter totals by issue attributes. Then you have to select “Jira Issues” dimension in rows and create calculated measures, that retrieve their properties. As Insight data analysis highly depends on the object structure in your Jira, you may also contact support@eazybi.com for more specific answers. Hi Ilze, that was what I was looking for. Thanks a lot!